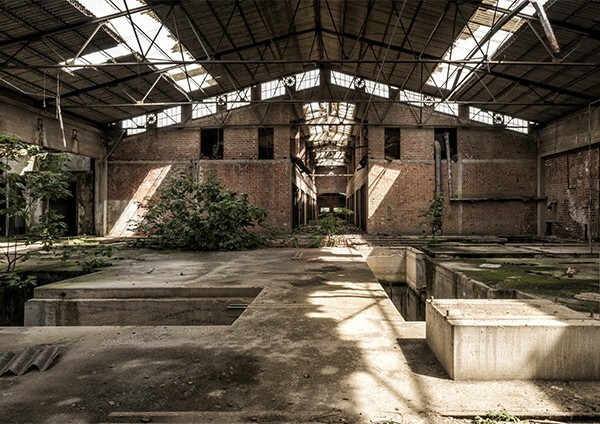 Urban exploration is the exploration of man-made structures including derelict buildings and structures, abandoned ruins or not usually seen components of the man-made environment. It is incredibly popular and exciting. But is it worth risking your health????? It is not surprising that buildings which have been boarded up and left until redevelopment of the site is carried out are seen as challenges. Sometimes the challenge will involve avoiding the security guards who are looking after sites and will involve entering a building via sky lights in roofs etc. The obvious occupational dangers are falling from height etc but there are number of other inherent dangers which as an Environmental Company specialising in Asbestos Removal and Environmental Cleaning we know all about. We have seen sites publicised on various Urban Explorer sites which we have surveyed and are horrified to hear that people are entering these sites on a regular basis. Asbestos is a long term health risk for these intrepid urban explorers along with contaminants from dried bird feeces. These can cause a condition known as pigeon-breeder's lung, a form of hypersensitivity pneumonitis. While Urban explorers may use dust masks and respirators to alleviate this danger many inexperienced explorers will not. Some sites may also be used by as drug dens by substance abusers for either recreation or waste disposal, and there may be used or infected syringe needles en route, such as those commonly used with heroin. The diseases associated with used syringes cannot be over stated. Our warning to all Urban Explorers is PLEASE never enter a building because of the dangers mentioned above and asbestos could be hiding anywhere. When carrying out Asbestos Removal and Environmental cleaning we work under controlled conditions and wear special protective clothing. You need to ask yourself if the short term challenge is worth a long term chance of contracting diseases associated with Asbestos exposure etc.